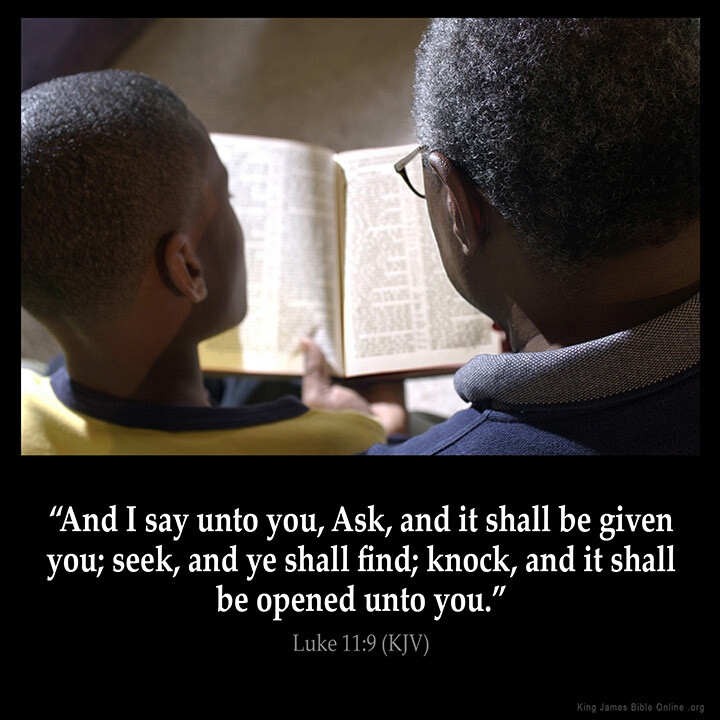 "And I say unto you, Ask, and it shall be given you; seek, and ye shall find; knock, and it shall be opened unto you." "Praying for this to happen soon for my kids sake!" "Notice this has nothing to do with a church. Study and seek one on one. Knock"
"And he does. In his own time, but he always does, and its when you need it, not when you want it. He always provides what you need, when you need it. He will never let you down. <3"
What Do You Think of Luke 11?